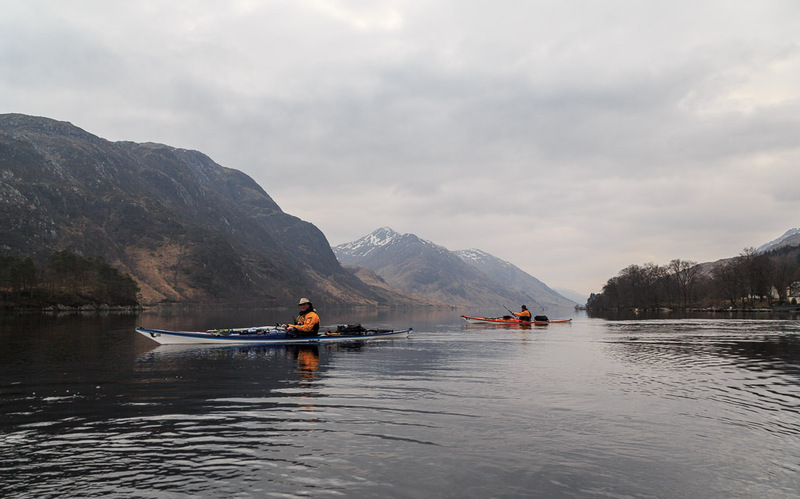 Raising the standard of our paddling at Glenfinnan. It had been an awful winter dogged by bad weather and ill health. 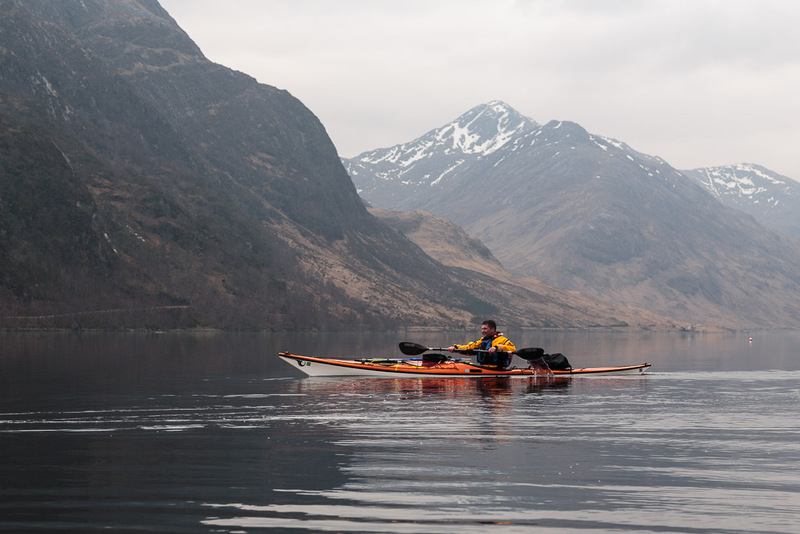 Ian and I had originally planned to paddle down Loch Shiel to the sea in February but I was not well and although Ian hoped to paddle it solo, the weather was not really conducive. 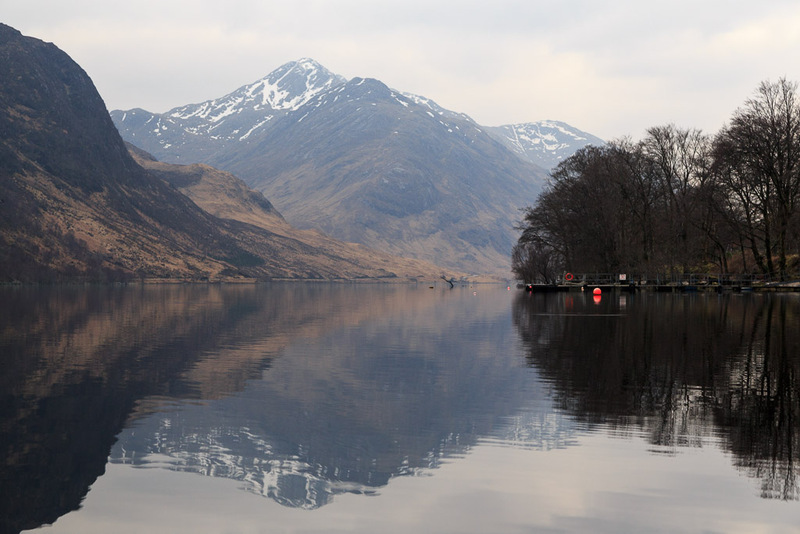 A small weather window opened on 17th March and Ian, Mike and I met at the Glenfinnan House Hotel at the head of Loch Shiel. We had intended to stay the previous night to make the most of the day but the hotel did not open till 20th March. However, the hotel manager Duncan Gibson kindly let us park in the hotel car park and to launch from the hotel grounds. This was much appreciated. The hotel dates from 1755 when it was opened as an inn by Alexander MacDonald who had fought a Culloden for Prince Charles Edward Stuart. 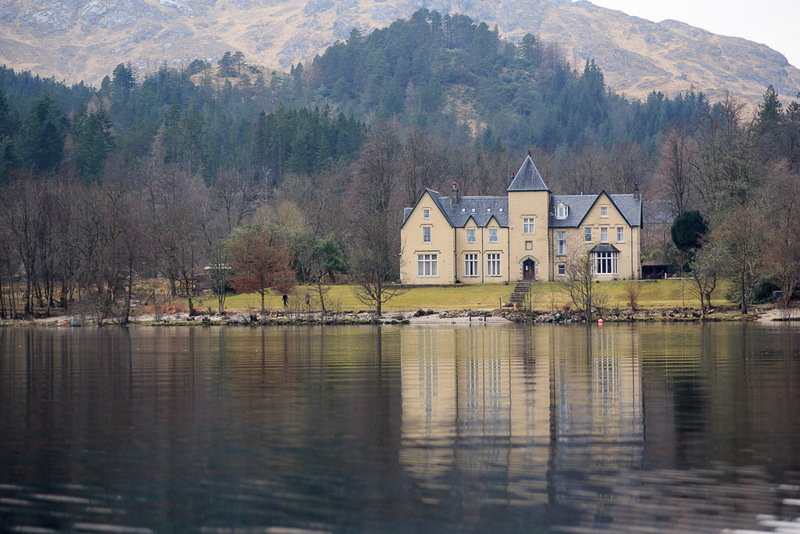 It later became a farm then a grand house for the MacDonalds of Glenaladale. 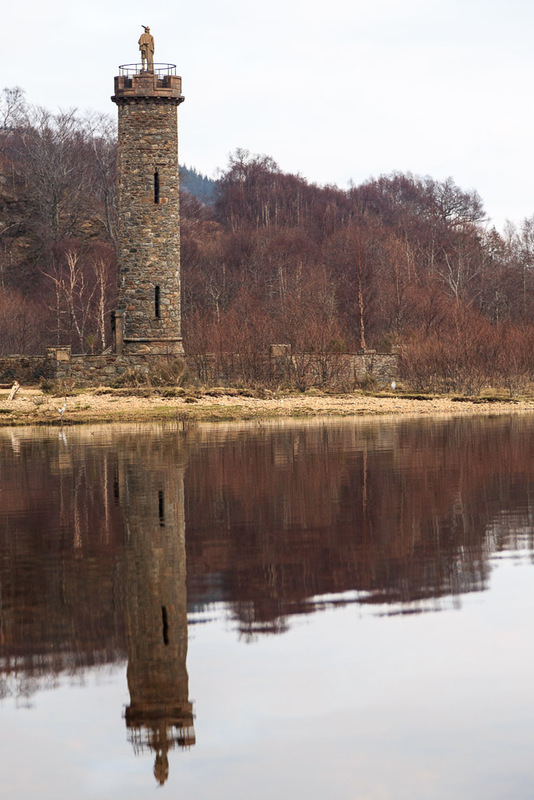 It remained in the MacDonald family until 1916. 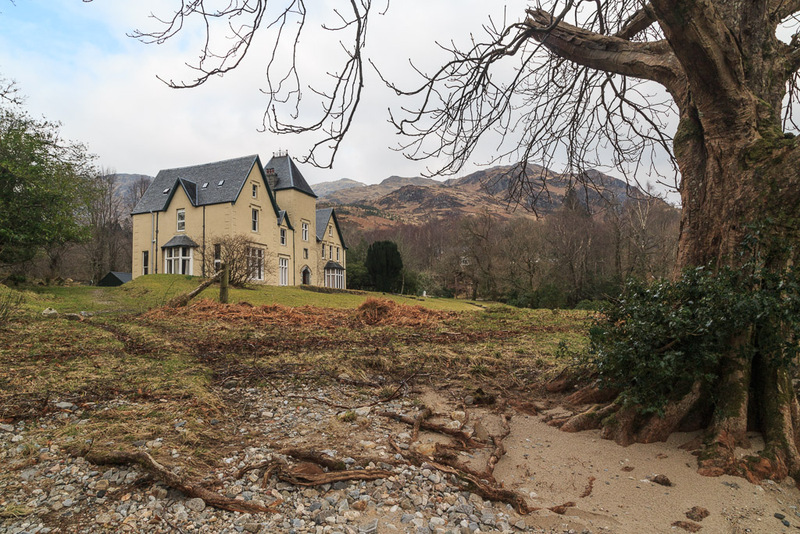 The house was bought by the MacFarlane family in 1971 and they converted it into the current hotel. 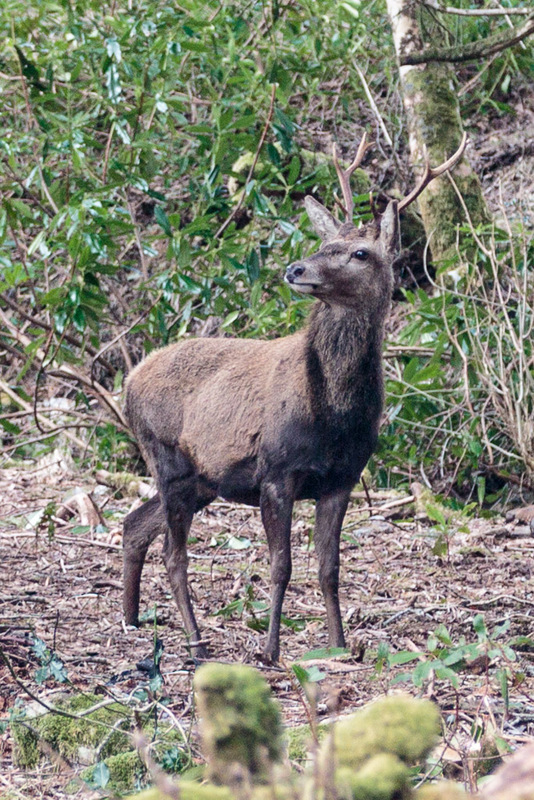 As the guests had yet to arrive, this red deer was making the most of the peace and quiet in the hotel grounds. 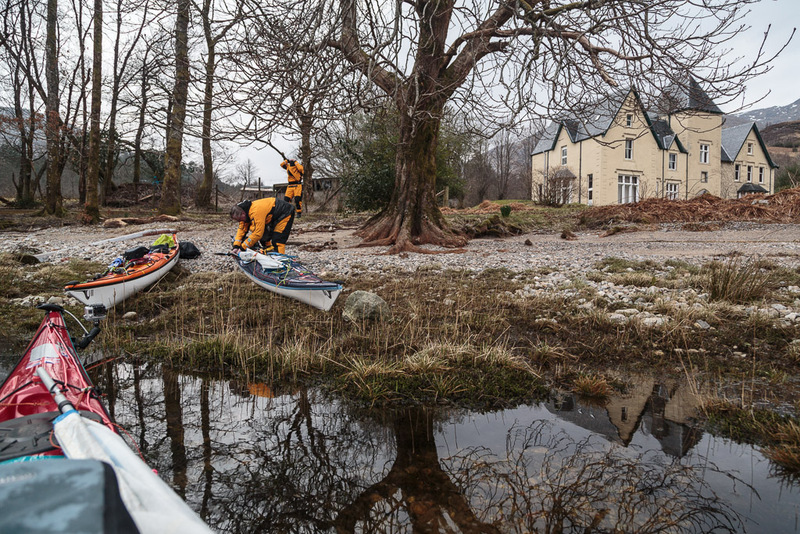 Our intention was to paddle down fresh water Loch Shiel to the sea then paddle over 60 kilometres to the head of Loch Ailort a sea loch which is only 17 km from Glenfinnan by road. I trolleyed the kayaks to shore while Ian and Mike ran the shuttle. I then enjoyed a very pleasant half hour chatting to Bill, a photographer from Glasgow. 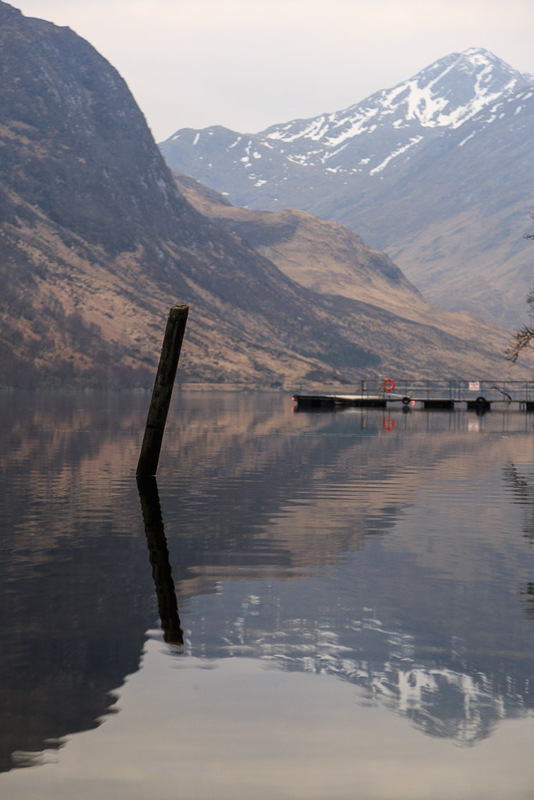 ...waters of the loch to be incredibly still and glassy calm. It was almost a shame to disturb the serenity of the scene with our paddling! At first we made for the head of the loch under the steep slopes of Sgurr Ghiubhsachain, 849m. 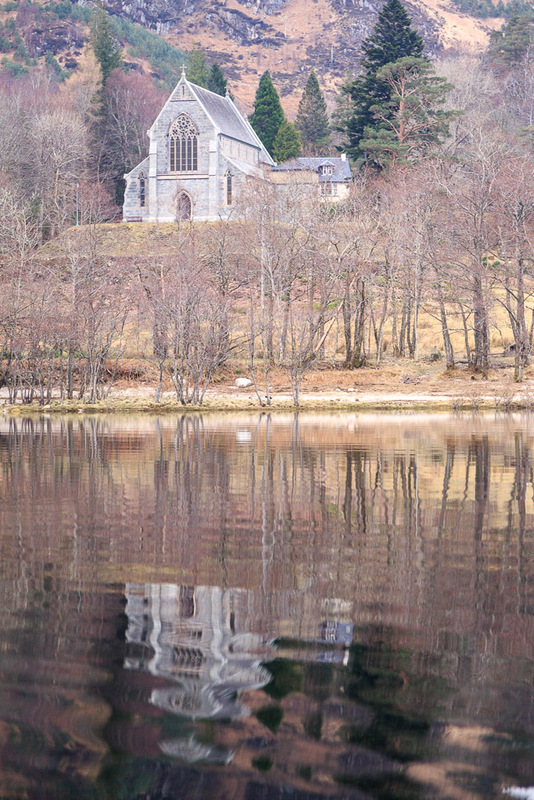 The beautiful Glenfinnan Catholic Church of St Mary and St Finnan was built by Fr. Donald MacDonald in 1873. He was a brother of the Laird of Glenaladale. 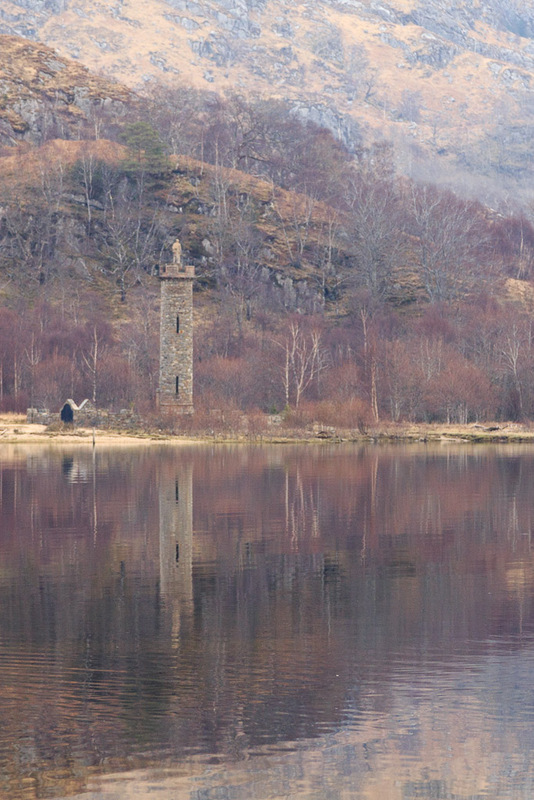 Standing above the shallows at the head of the loch is the Glenfinnan monument to Prince Charles Edward Stuart. He landed here in 1745 in an attempt to regain his father's James's crown from the protestant Hanoverian monarch George II. His father, George I, succeeded from the childless last Stuart monarch, Queen Anne, due to the Act of Succession of 1701 which prevented a Catholic from becoming monarch. Those who supported the restoration of James as monarch were called Jacobites after Jacobus, the Latin form of James. Bonny Prince Charlie's rebellion finally came to an end after his defeat at Culloden in 1746. This was the last battle fought on the British Mainland and afterwards the Jacobites were subjected to much persecution. It was not until 1815 that tensions had relaxed enough to allow the monument to be raised in memory of Bonny Prince Charlie and his ill fated rebellion. 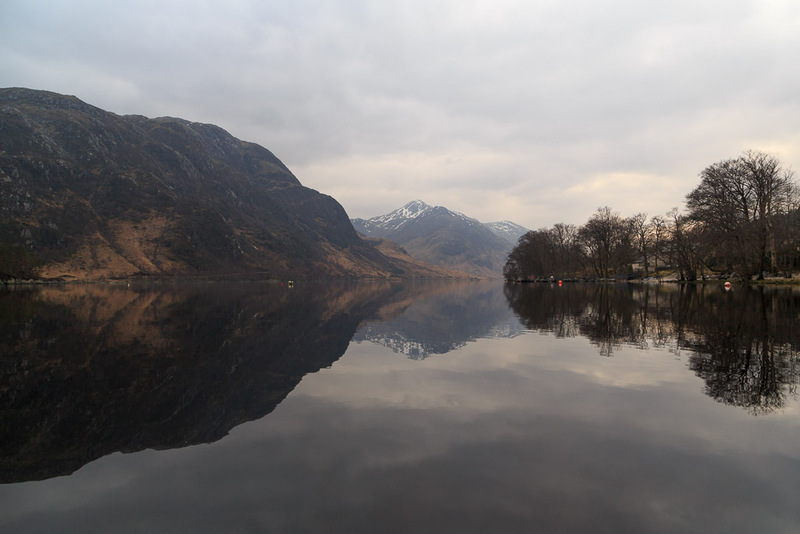 You can follow our adventures on Loch Shiel in stereovision by following Ian's blog which starts here.